Saddle up and join us on a fantastic ranching week in Arizona. We will be staying at Rancho de la Osa, one of the most historic properties in the West! 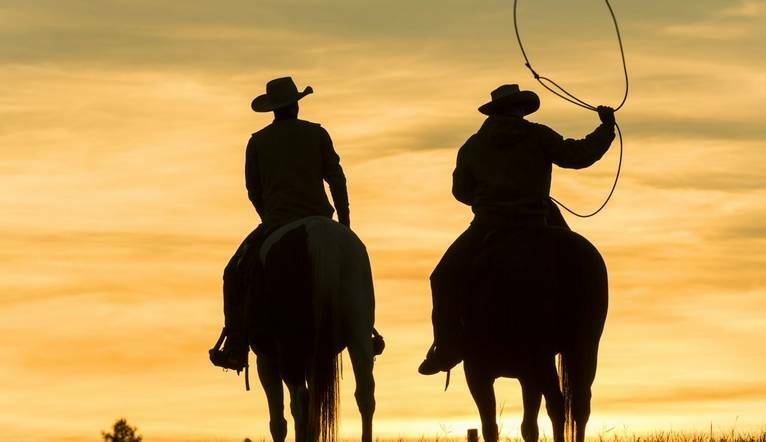 Don your Stetson and hone your horse riding skills on the endless amounts of trails to explore… But it doesn’t stop there as there is a whole host of other cowboy activities to keep us busy – Yee Ha! Enjoy a scenic horseback ride on trails frequented by US Presidents and legendary figures like Pancho Villa and John Wayne. Relax in a room where Gone with the Wind author Margaret Mitchell stayed and the house where the Marshall Plan was drafted, witness an unprecedented amount of stars with unmatched clarity on a coal black sky and hike in the nearby majestic Baboquivari Mountain Range. Rancho De La Osa is a activities paradise situated in 590 acres and surrounded by an additional 120,000 acres of Buenos Aires Wildlife Refuge. We can enjoy a unparalleled experience with exceptional traditional South Western cuisine, friendly hospitality and a whole host of included activities. Rancho de la Osa borders the Buenos Aires National Wildlife Refuge and is a birdwatching paradise. The ranch and surrounding areas are home to the endangered masked bobwhite quail and 300 other species including herons, grey hawks, vermillion fly catchers, loggerhead shrikes and golden eagles. Trade one saddle for another and experience the South West on a fat tyre electric mountain bike. You can peddle on your own or get assistance on those tough hills from a high powered motor capable of 20mph speeds. Go on an off-road adventure in one of our UTVs (Utility Task Vehicle). Our guide will take us and up to four other guests on an adventure to the US-Mexico border or take us on a trip to explore the nearby ghost town ruins. Walk a few yards from our room and we will likely run across the same trails forged by legendary figures like Pancho Villa. Walk on red clay trails towards Baboquivari Mountain or explore the Buenos Aires wildlife refuge and keep an eye out for giant jackrabbits, roadrunners and deer. If you’re an experienced rider or never been on a horse, you’ll find the ride for you. The wranglers will match us with a horse appropriate to our experience level and lead us on daily scenic rides through sandy washes, over rocky terrain, past incredible rock formations and across lush desert grasslands. For more experienced riders loping (cantering) and trotting can be incorporated into rides where the terrain allows. Lessons are also available for an additional cost. There may also be the opportunity to try our hand at Team Penning where we will learn to work with a team of your fellow cowboys and cowgirls on horseback to more cattle in the arena. Rancho de la Osa is in a secluded and peaceful location with diverse wildlife, endless numbers of trails and breath-taking mountain views. If you’re looking to relax in a peaceful oasis or embark on an adventurous vacation, you’ve certainly come to the right place. The ranch offers southwest style cuisine, we can enjoy fresh, hearty and healthy meals, dietary requests can be catered for just please advise us at the time of booking. The onsite Catina serves beer, wine and speciality drinks, meals are served in the historic Hacienda dining room or outdoor courtyard patio. There is also an inviting outdoor pool to cool off after a day of activities! Each of the hotel rooms are furnished with Mexican antiques and vintage furniture and are named after notable people who have stayed on the ranch (such as John Wayne, Caesar Romero, Joan Crawford, Margaret Mitchell & the Roosevelts!). All rooms include a coffee maker, hair dryer and working fire place. Free Wi-Fi is availableThe onsite Catina serves beer, wine and speciality drinks, meals are served in the historic Hacienda dining room or outdoor courtyard patio. There is also an inviting outdoor pool to cool off after a day of activities! The transfer time from Tuscon Airport to Rancho De La Osa is approximately 1 hour 30 minutes, dependent on weather and traffic. If you’re an experienced rider or never been on a horse, you’ll find the ride for you. The wranglers will match us with a horse appropriate to our experience level and lead us on daily scenic rides through sandy washes, over rocky terrain, past incredible rock formations and across lush desert grasslands. For more experienced riders loping (cantering) and trotting can be incorporated into rides where the terrain allows. Lessons are also available for an additional cost. There may also be the opportunity to try our hand at Team Penning where we will learn to work with a team of your fellow cowboys and cowgirls on horseback to more cattle in the arena. Gratuities in the United States can be a complicated and confusing process so we have included the ranch staff gratuities within the holiday price. However if you would like to tip more that will be left to your individual discretion.